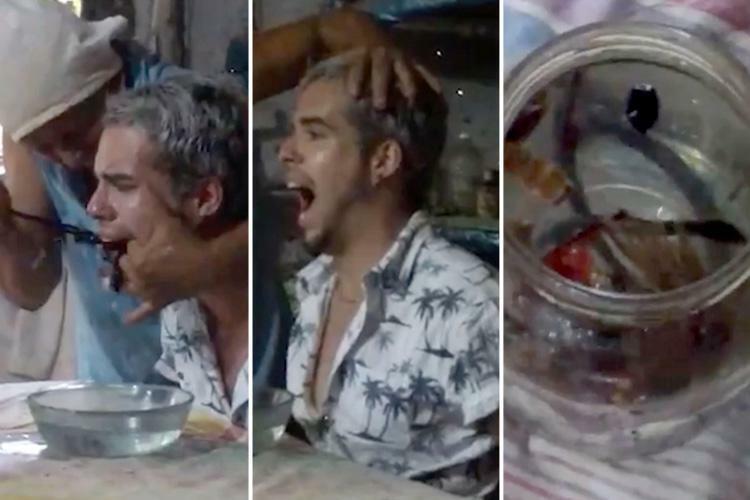 THIS is the nightmarish moment a man claims to have been freed of a voodoo curse by a Cuban witch doctor – who appears to extract a horde of insects from inside his mouth. Havana photographer Pablo Moreira, 28, says he fell under a hex that wreaked havoc on his home, robbed him of his ability to digest food and left him severely ill.
Horrifying footage shows Pablo being treated by the mystic healer who placed an egg inside his mouth to break the spell before apparently plucking out cockroaches, worms and horse hair. The video was originally shot in 2015, in Matanzas province, but this week it was posted online for the first time, ratcheting up millions of views. Now, Pablo is sharing his tale with the world - apparently in the hope he can help others who may think they have fallen victim to black magic. Pablo said: "I visited a Santero healer out of desperation. "At the time I was facing violence and problems in my home, everything was tense. "I was also very sick, I could not hold anything down and I became very thin with a swollen stomach. "I did not know it at the time but I would later learn I was under a voodoo curse." Pablo claims a friend told him about someone who was cured of a similar curse, and though he was sceptical he decided to try it out of desperation. The friend then took him to the “consultation room” of the healer, who lived on a camp site near an army complex on the Canímar River. 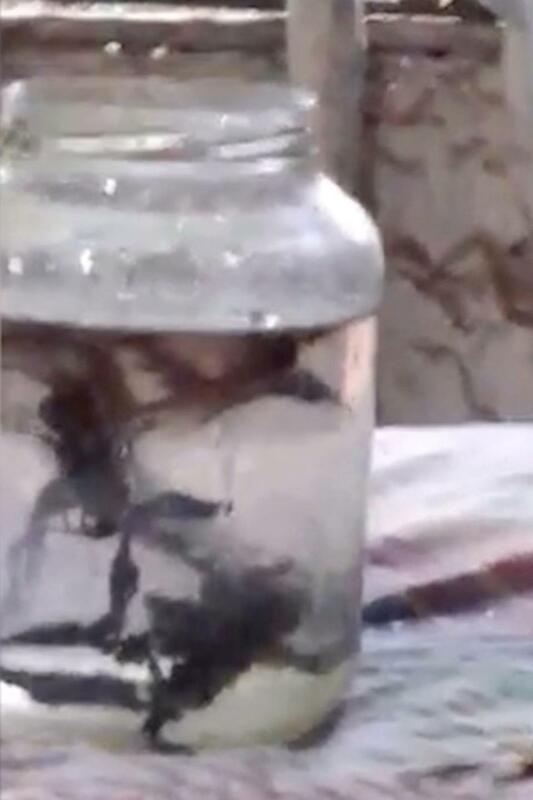 He said he was so nervous he did not notice the witch doctor “removing the evil” – and only when he looked in the jar did he see everything that had been “removed” from his stomach. The video has divided social media, with some commenters congratulating Pablo for ridding himself of the curse and others accusing him of pulling a hoax for online fame. But he has hit back at his critics, claiming he only wants to raise awareness about the existence of dark supernatural powers.